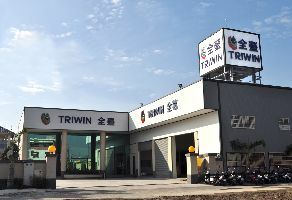 ﻿﻿ The Company Profile of Triwin Watertec Co., Ltd.
Professional reverse osmosis system manufacturer, founded in 1984, Triwin Watertec Co., Ltd. fulfills the need for top quality reverse osmosis system products and equipment in the water treatment industry worldwide. Our main products are residential RO systems, commercial & industrial RO systems, pure water systems and all water treatment components. Triwin is not only a water-treatment parts supplier also reverse osmosis system manufacturer, but also a designer and programmer of medium systems based on customer needs. Customer service is our top priority. We relocated in 1998 and established departments for high technology. These technologies include Far infra-red, emitting body, air cleaning, polymer and engineering materials. We have our own injection company, R&D department and two manufacturers, which are for residential RO & Filter systems and commercial RO systems. Company : Triwin Watertec Co., Ltd.